In Ireland, Elizabeth waits at a cafe for Andrei to come back from his visa interview. As she frets and rubs her cheeks in a circular motion, she hopes that her high school theater improv session with him paid off. After Andrei arrives, he gives Elizabeth the stone face first, good news second: “I got it!” he finally shares. Elizabeth squeals with delight, knowing she won’t have to move to Moldova now. Andrei wasn’t nervous at all – he’s “always successful,” according to him. And highly successful people do not give two f**ks about their future in-laws, apparently! Or at least Andrei doesn’t, and tells Elizabeth this plainly. She is, of course, not allowed to say anything back. 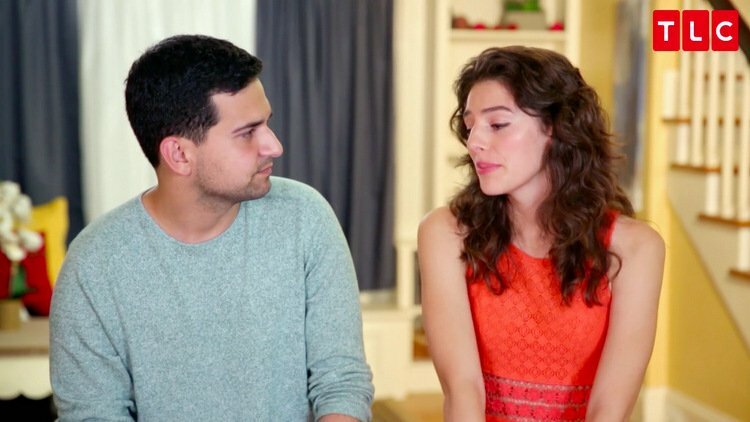 With 74 days to wed, Molly and Luis are at home doing what new lovers do…ignoring each other. Luis has other plans, like talking to Olivia about his intentions to force strangers to call him daddy wed her mother. Outside, Olivia listens to Luis explain his love for Molly and his plan to propose. After showing Olivia the ring, it’s like this poor girl just accepts fate, sighing, “this is what my mother wants.” She does, however, think Luis needs to slow his roll. “I’m not saying don’t get married, I’m just saying don’t rush it,” advises Olivia, who is the wisest person in this house. But Luis is on the 90-day clock, which stops for no one. In Thailand, David continues to wear his monochromatic prison clothes while he Skype’s his daughter, Ashley, back home. His kids are not okay with dad dating a woman not much older than them, and Ashley acts like she doesn’t even know who the eff Annie is when he talks about her. “Phantom Annie!” laughs Ashley, who isn’t even convinced her father is dating a real, live human. The real scoop is this: David has avoided telling his kids about Annie because he’s scared of them. Nice. In an attempt to normalize an entirely jacked up situation, David brings Annie into the Skype call. Ashley is pleased to see that Annie is there of her own free will, not tethered to a water buffalo or chained to a chair. But she’s still skeptical of this woman. David hasn’t even told his kids they’re engaged, which Annie is obviously upset about. I mean, damn! Her entire village danced for this loser, and he can’t even tell his children they’re about to get a new MOM? Get a grip, sir. 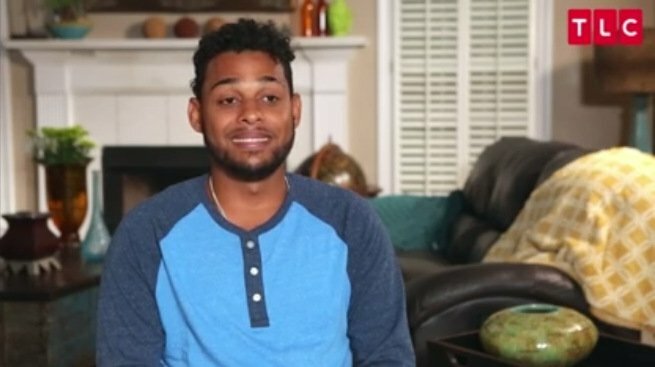 Azan complains that he lost his restaurant job because he needed more time to text Nicole. Um – WHAT? Nicole agrees that someone’s job had to go! Their online dating wasn’t going to run itself into the ground all on its own! Lord, the idiocy of these two is baffling. 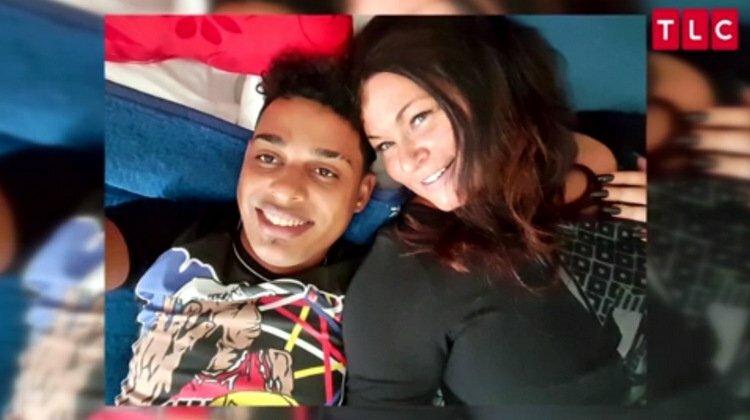 In an even more shocking twist, we find out that Nicole has been sending Azan hundreds of dollars since his texting-at-work a$$ was fired!!! Ah, now we see Azan’s long con. It’s alllllllll becoming very clear. Nicole’s dad, who is sponsoring Azan because she “can’t afford it” will also be thrilled to hear this news, no doubt. In New Hampshire, Evelyn and David are arguing at a tux rental shop. 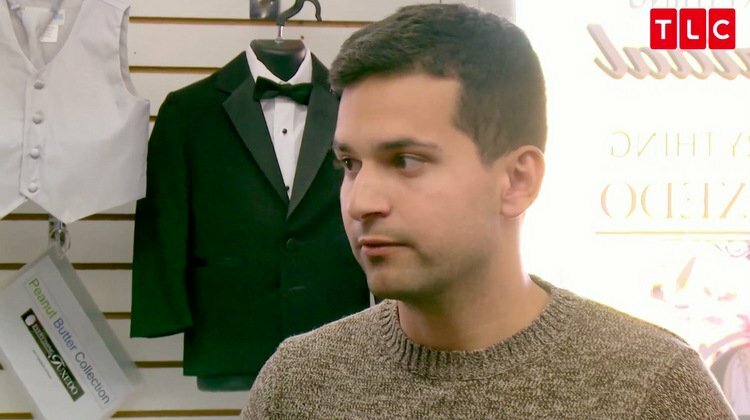 CJ, the long-suffering employee of said shop, bears witness to their spat about David not wanting his friends to spend money on tuxes and Evelyn whining that she’s waited her whole life for this wedding to be perfect! Her “whole life,” let’s remember, has lasted a mere 18 entitled, obnoxious, insufferable years. Evelyn also wants to choose David’s tux for him, because her style is superior. Erm. Not sure about that. Her Leather Tuscadero haircut notwithstanding, Evelyn’s style has consisted of bathing suit tops under cover ups and cold shoulder blouses thus far. Finally, David gets permission to choose his own tux, as long as it’s black and white. (I wonder if he’ll get to choose what type of sandwich he’ll order later at the Country Cafe?) Right now, Evelyn is more concerned with the groomsmen’s unwillingness to rent tuxes, something David thinks is a financial burden to friends who are already spending major bucks to fly to the U.S. Outside, CJ basically tells producers she hopes these two get their sh*t together quickly, because they’re a hot mess. In Georgia, Molly takes Luis to a beach which, while it technically has sand, is missing an ocean. They make the best of their lakefront date, eating salami and Ritz crackers just like the fancy people do. As Luis waits for the sun to set so he can propose, they toast to…the beach. Huh? Okay. Then the moment finally arrives and, ring in hand, Luis kneels down to ask Molly to marry him. She squeals, “Yes I’ll marry you! What are you doing? I love you! That’s crazy! Huh?” So, it’s a yes…? Looks like Luis can now unclench his sphincter. “You are my baby,” croons Luis. “I come here for you.” Molly is thrilled that their wedding plans are official. Now she can pick out cake and cheese and dresses! Not necessarily in that order. Back in Ireland, Andrei and Elizabeth are at a pub celebrating his visa news. Elizabeth is happy that she’ll get to bring Andrei home soon, but there’s a hitch: Everyone she knows hates him already. Her family, her friends, her dry cleaner…they’ve all heard how “submissive” Andrei expects his woman to be, and they are not okay with it. When Elizabeth brings the issue up, Andrei is upset that Elizabeth has already thrown him completely under the bus with her family! He is, by the way, entirely correct on this point, but Elizabeth doesn’t see it this way. 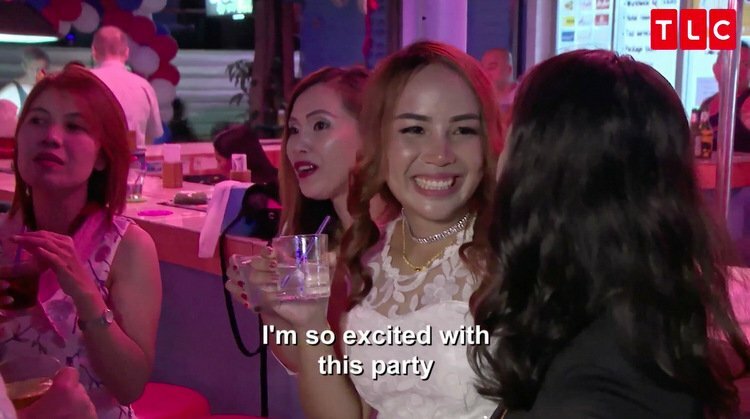 Since she’s itching to start a fight, Elizabeth brings up having a bachelorette party. Now Andrei gets to flex his muscles, arguing that going to a club is not proper for an engaged woman! In fairness, he doesn’t plan to go clubbing himself anytime soon, either. Elizabeth pouts, “Don’t you want me to have fun?” Andrei thought they were out having fun tonight, but it doesn’t seem like it. These two are oil and water. But something tells me Elizabeth gets a little charge out of ruffling Andrei’s feathers, no? She likes this game. It’s the night of David and Annie’s joint bachelor/bachelorette party in Thailand, so David’s ready to tie one on. He’s even wearing his special white collarless blouse for the occasion. (I don’t know it for a fact, but methinks David would be a big fan of the bolo tie – right?) Initially excited about the party, Annie grows increasingly annoyed at Drunk David, who’s revising his robot dance in the street for public spectacle. “He’s so crazy,” nervously laughs Annie until they reach the final bar. Then suddenly, she’s done with this guy! She used to love him 80%, but it’s more like 32% after his antics tonight. When David tries to talk to her at the bar, he doesn’t seem too out of control, but Annie is incensed. In truth, she’s still probably angry about him not telling his kids about her, but is blaming it on the alcohol instead. “I’m here for YOU!” Annie screams, not even sure she wants to go to America with this old foreigner now. Plus – she’s not really looking forward to giving his ATM-friend Chris those “Thai massages by the pool” as payment for lodging. Blech. (Although Chris’ wife, Nikki, is shouting all over the internet that the whole scene was staged and that Chris was forced by producers to ask that gross question…<side eye>). In any case, girlfriend needs a moment to reassess her options! Annie’s friend encourages her to calm down, but she knows there’s more to the story too. David apparently drinks a wee bit too much on more than one occasion. Sauntering over, David puts his arm around Annie, apologizing and vowing that he’ll take care of her. Annie, who knows that this guy can’t even afford an extra buffalo, is not so sure. On another mission impossible, Azan is in Morocco trying to make Nicole eat healthy food. Veggies are like kryptonite for Nicole, who refuses to chew anything that hasn’t been processed properly in a peanut-laced factory. At the open market, Azan buys veggies anyway, reminding Nicole that he wants her to cook healthy. Nicole isn’t used to seeing these fresh ingredients! The Walmart she lives shops at doesn’t have a magical refrigerated section – at least not one she’s ever touched before! Also, she likes her chicken Saran Wrapped, thankyouverymuch. But it’s only live chickens for sale here, and Nicole can’t handle it. Back in the States, Molly and Luis take Olivia to lunch to talk about their engagement. Olivia’s body language reads “I have located the Exit signs,” but she agrees to eat, and to listen to Molly drone on about wedding planning. Despite her concerns, Olivia says she’ll help her mom out. That is, until Molly begs Luis to feed her at the table like a teenage moron out on her first date. Practically gagging, Olivia asks them to PLEASE STOP! “Mom and Luis are so gross. Like – why?” Olivia complains to producers. Yes, why indeed. Molly finally stops giggling like a royal idiot when Luis says the following to her daughter: “You need a real boyfriend.” Record scratch. Again, Luis? Really, dude?!? Suddenly on her motherly high horse, Molly tells Luis that he can’t speak to her daughter that way! And what is he insinuating anyway? (I think we all know.) Olivia smiles, glad to see her mom on her side for once, but Molly can’t just pick and choose when she gets to be a decent parent. She needs to screw her damn head on straight before a social worker shows up at her door after leaving Kensley with him last week, for starters. Ugh. In Arizona, Aika is living her “fairytale” with Josh and his roommates, especially because he thinks he’s landed a supermodel. Apologizing for his friend Joe’s rude questions, Josh hopes Aika will give him another chance. I, personally, hope Aika will give her natural eye color another chance. Because these Thriller contact are freaking me the frack out! Josh has big plans for Aika, like walking around with her a lot in public so she raises his street cred, and encouraging her to model at 36 years old. Even Aika is realistic about her prospects, admitting she’s not really “the model type.” But she is the grocery store type! And her first trip to the Stop-n-Shop is everything she dreamed it would be, especially in stilettos. It’s time to travel back to Evelyn’s teenage dream, where she and David are now in the cake-tasting portion of their joint premarital nightmare. Since cake isn’t Evelyn’s “thing,” she decides to let David decide the flavor. She’s all about compromise, this gal! As David licks frosting from a spoon, he imagines the life awaiting him in which Evelyn will lay out his clothes, check his phone every night for intel, berate his home country on the daily, but may let him choose dessert on Tuesdays! When it comes to the cost of the cake, David is in shock. He doesn’t like spending all of this money on frivolous details, but Evelyn wants what she wants when she wants it. Their joint income – on Evelyn’s part time salary as a music/French teacher and David’s non-employment – is, of course, nothing. So obviously, their parents are footing the bill. Evelyn thinks they can make their money stretch if they just plan well. You know – like writing budgets on napkins! And only getting a special cake for them, not the rest of the wedding guests. Let them eat sheet cake! 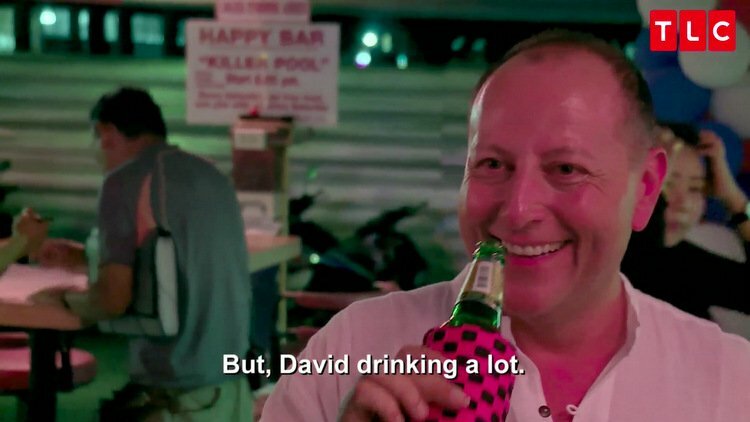 David agrees. Back in Morocco, Nicole is spazzing out over being forced to eat meat not in nugget form. Azan does his best to ignore Nicole’s immature rudeness, encouraging her to try his aunt’s food before they’re both thrown out of the house! Azan’s aunt asks if Nicole cooks at home? Um, do Toaster Strudels count? Because Nicole seems like the type of gal who’d be able to cook a 3-minute pastry. 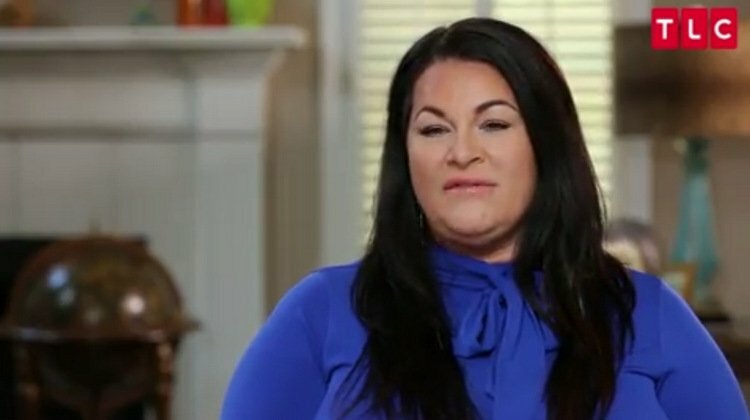 Azan’s aunt seems baffled by Nicole’s pickiness. Meanwhile, Aika is a victim of Josh’s brainchild back in AZ. He marches her to a modeling agent, sure that he’s discovered the next top something or other. Dang, man! Why set this woman up for humiliation like this? Sigh. After Aika reads a prep script (why is she reading at all? ), she complains to Josh that she doesn’t want to be pushed into this. She also has problems with her “body parts” which she doesn’t want to put on display in bikinis. Hmm. I’m not even going to speculate on deeper stuff here, but will simply chalk her worries up to anyone’s natural insecurities. After her nervous on-camera reading, poor Aika is told that she has potential – but only because they want to sell her “ethnicity.” What the actual hell? 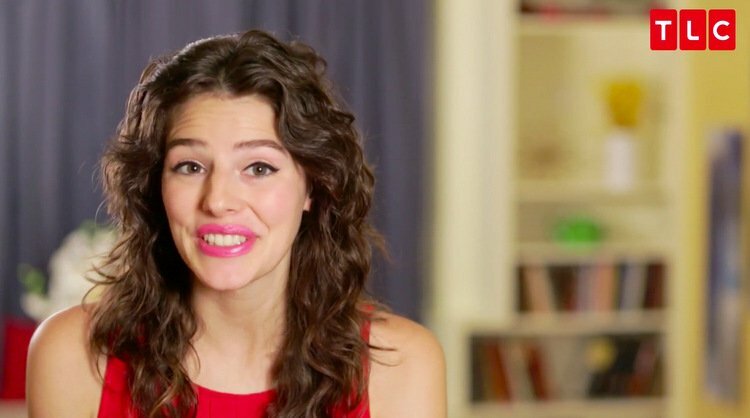 Um – is Josh selling her into some sort of sketchy “modeling” (wink wink) ring? Josh is thrilled, but Aika reiterates how much she doesn’t want to be a model. She wants marriage and a family, just as Josh said he did. Beaten at his own game, Josh finally allows Aika to leave the agency with what little dignity she retains. And you know, now I kind of hate him for doing this to her. Bad Josh! BAD! Oh, but we can’t end there. Because back in GA, there’s more hideously inappropriate Luis behavior to behold! He tries to redeem his image by playing pool with Olivia, her uncle, and her friend – and by promising her that he’ll be on her side when it comes to secrets. “It’s your life, do what you want,” says Luis, winning points with this teenager, who is closer to his age than Molly is, incidentally. All points are instantly lost, however, when Luis starts asking Olivia about her boyfriend. The questions start with “Do you love him?” and end with asking whether she likes him around “just to sleep with?” like “just for f**king?” Eyes popping out of their heads, everyone in the room just stares at this thing Molly has brought into their home. UGH!!! WHY IS HE SO CREEPY AND GROSS? This is not a lost-in-translation moment. No, no. This is a Luis-has-lost-his-damn-mind moment. And Olivia’s uncle has now been downgraded to d-bag #2 for laughing along with Luis while he talks to a minor (and his future stepdaughter) in this utterly disgusting way. When Olivia tells Molly about it upstairs, however, she is not quite as jovial. After hearing what Luis said, Molly is like, “Oh no. I’m horrified!” It’s weird, it’s wrong, and it’s got red flags ALL over it. But, you know, the fact that Molly does not kick this guy’s a$$ at this exact moment is actually more shocking than Luis being an idiot. Shouldn’t she be marching down to that basement this very minute? Where is all that “good parent” stuff now? Hmph! TELL US: IS LUIS INSANE? ARE YOU SURPRISED NICOLE IS SENDING AZAN MONEY? 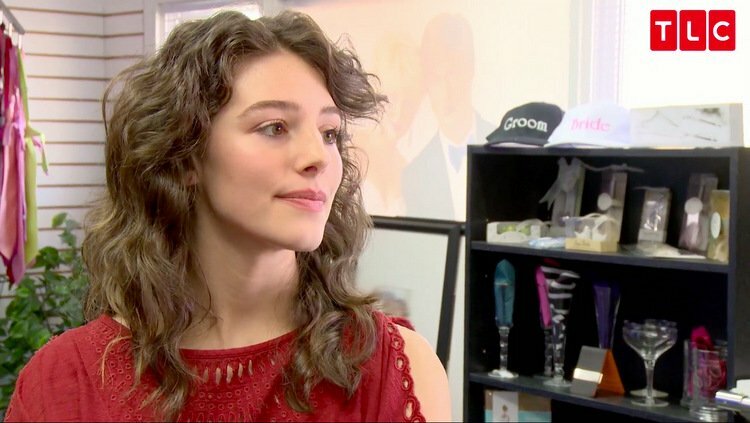 WILL EVELYN ALWAYS GET HER WAY? WHY IS DAVID BEING SO SHADY ABOUT ANNIE WITH HIS KIDS?